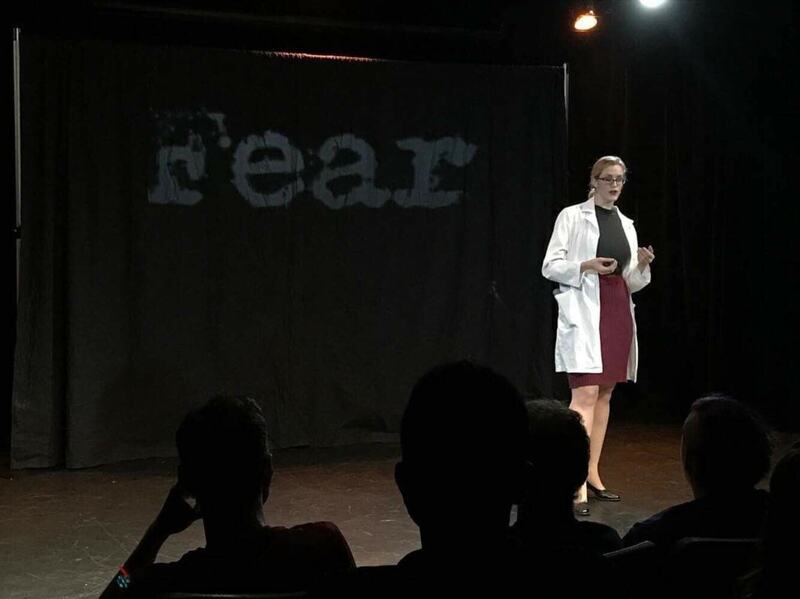 MB Stage Productions’ The Study, which premiered at the 2018 Hollywood Fringe Festival, really started out great: an audience attends a science class to discuss fear, but instead of slides and experiments, several “students” are sent on a trip directly into a horror movie, and those that remain must observe and dictate the outcome of their harrowing journey. Think of it like a slasher film “Choose your Own Adventure,” only playing out right in front of you. 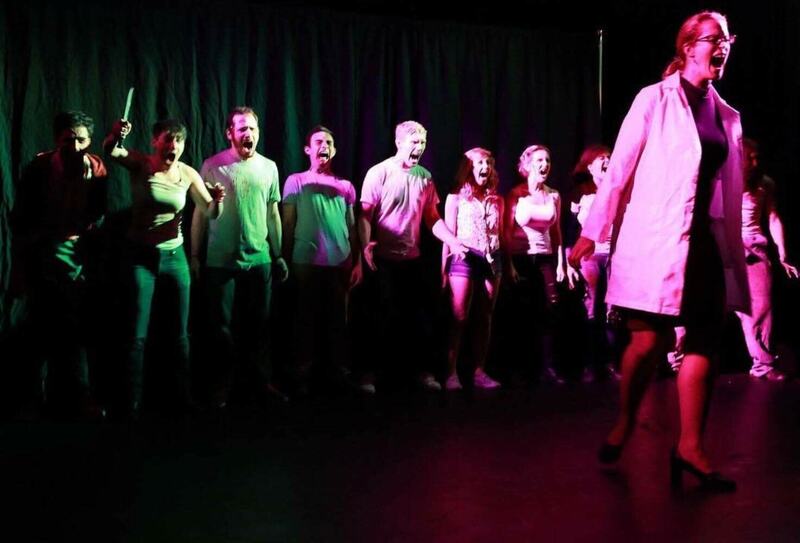 It’s clever, and the idea that attendees’ votes will determine the life or gruesome death of our heroes in a sort-of game to see which audience leaves the most survivors is a fun and interactive approach to theatre. Unfortunately, these clever concepts are far outweighed by a clunky performance that drags itself along on poor writing and execution. The “experiment” laid out at the beginning of the show serves no purpose and teaches us nothing, relying on tired slasher stereotypes that should work in what appears to be a parody of the genre, but are ultimately overwhelmed by a bland story and repetitive and often offensive dialogue. To that point, what would normally be an admirable representation of LGBTQ performers and characters is obscured as their diverse sexuality appears to be written off for laughs at best, and used to justify the repeated use of homophobic slurs at worst. To be specific, a gay character is called an offensive name (later downgraded to “Fruit loop,” as if that excuses it) more than ten times in the course of the performance. This behavior, by a straight character, is barely addressed and never appropriately reconciled. As a result, one member of our party left mid-performance, unwilling to have himself insulted further. It is one thing to have a character reveal his true dark side by disrespecting another in such a way, and quite another to have that character inexplicably redeem himself and come out the hero after a sheepish apology and a mild softening of his word choice. The Fringe audience is not a sensitive one; but a character behaving in this fashion should offend, it should vilify the source. The Study makes the crucial error of taking the outdated trope of homophobia in horror films and having a present-day character embrace that mindset in a story that’s meant to elicit laughs. It’s unlikely that The Study had the intention of offending its audience; it’s merely an unfortunate side effect of a production that is not strong enough in content or purpose to justify its offensive content. The production is billed as immersive theatre, yet does little more than ask the audience to choose a path periodically throughout. Interactive, sure, a little, but immersive it is not. Coupled with an unnecessary waiver and a bizarre questionnaire that seemed to only have the purpose of asking audiences to promote the show (we did not see where this came in to play during the performance,) and the whole thing is a mess. And to think: it all started out with such a unique idea. 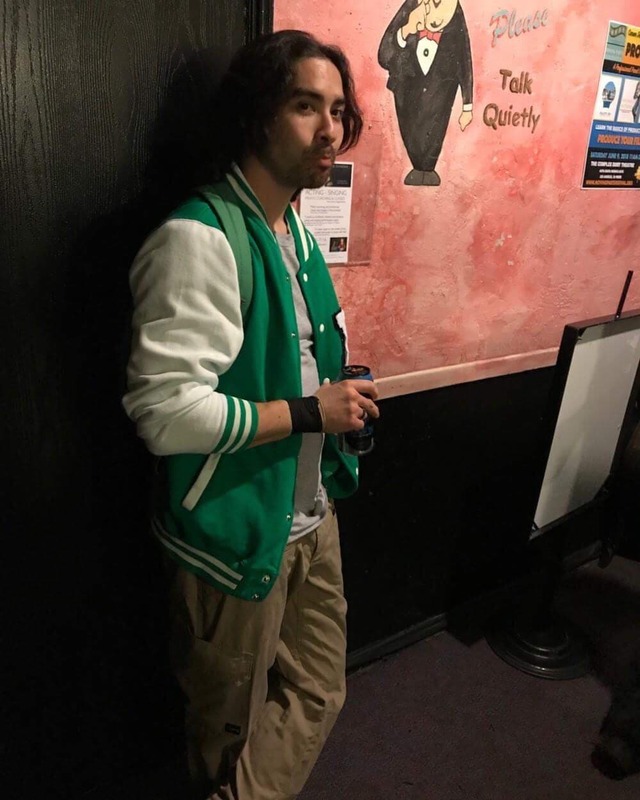 The Study was directly inspired by Until Dawn, the 2015 horror-adventure video game; the game informs both the style and format of the show: the integration of classic horror tropes with choice based gameplay that determines the ultimate fate of the characters involved. Despite being a tonal and functional translation of the game, The Study fails to successfuly emulate its inspiration, instead crippling the intrapersonal dramas at its core with tasteless and outdated humor. These criticisms are unfortunate because, at base level, a horror parody where the audience chooses the outcome is a wonderful idea that can be a lot of fun for everyone involved. Perhaps The Study suffers from trying to include too many “clever” elements at once, thus damning itself to having very few of those elements executed with any success. The level of complexity attempted here seems unnecessary because this is one of the simplest stories in the horror-verse: a group of teens, character archetypes, are headed to a mysterious cabin in the woods. Adding Until Dawn’s element of audience choice to determine who lives and dies is brilliant, and should have been enough; it would allow a better story to emerge with less reliance on shock and uncomfortable behavior from performers. Overall, The Study should give far less attention to stereotypes and far more to the show as a whole. You can find more information about MB Stage Productions upcoming shows and The Study on their website. You can also follow them on Instagram, Twitter, YouTube and Facebook.